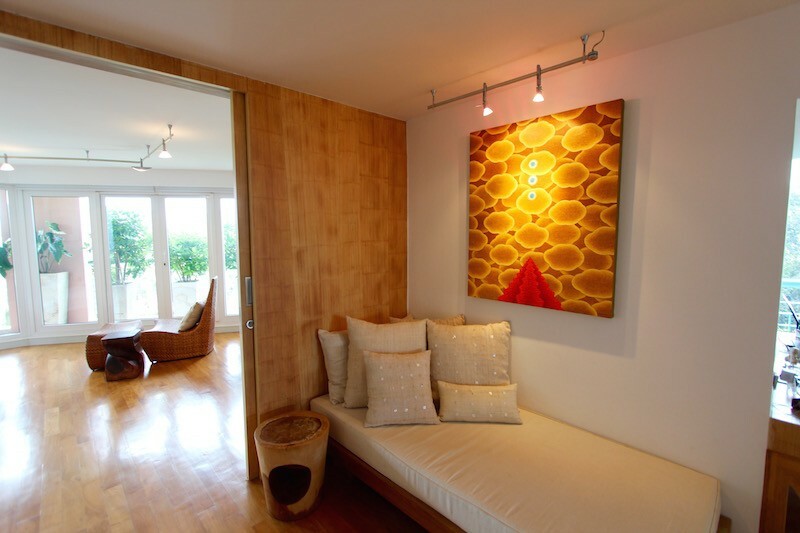 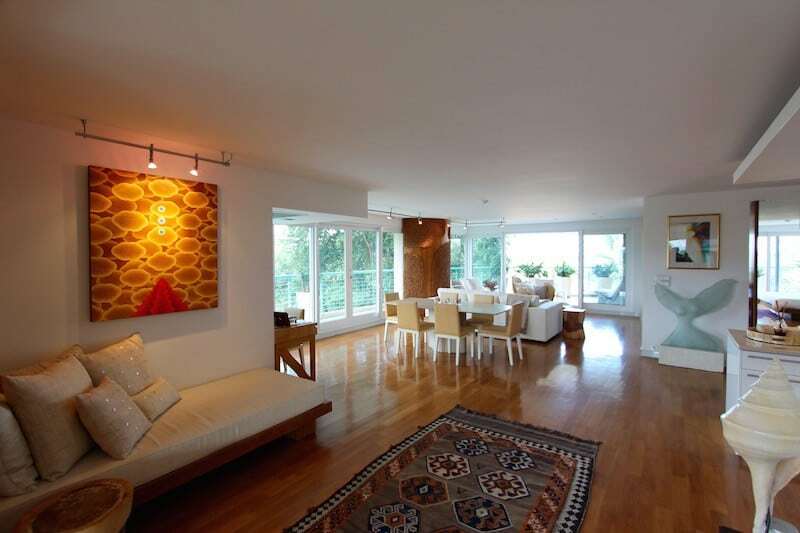 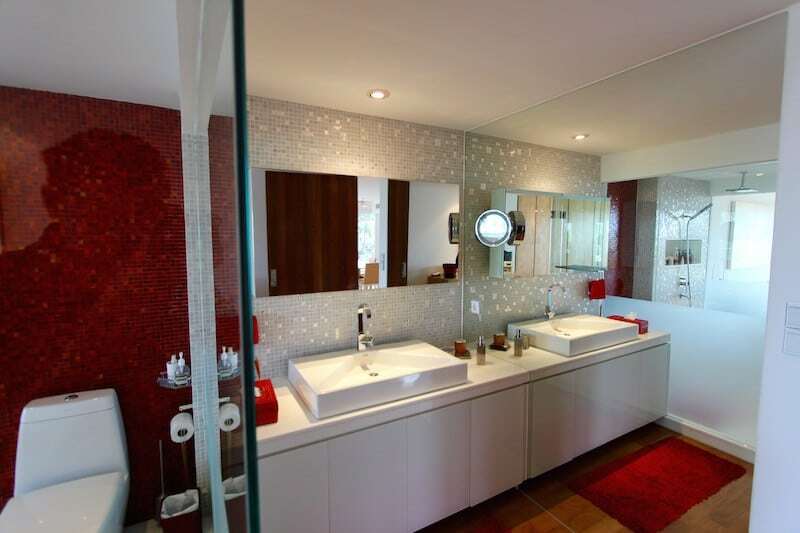 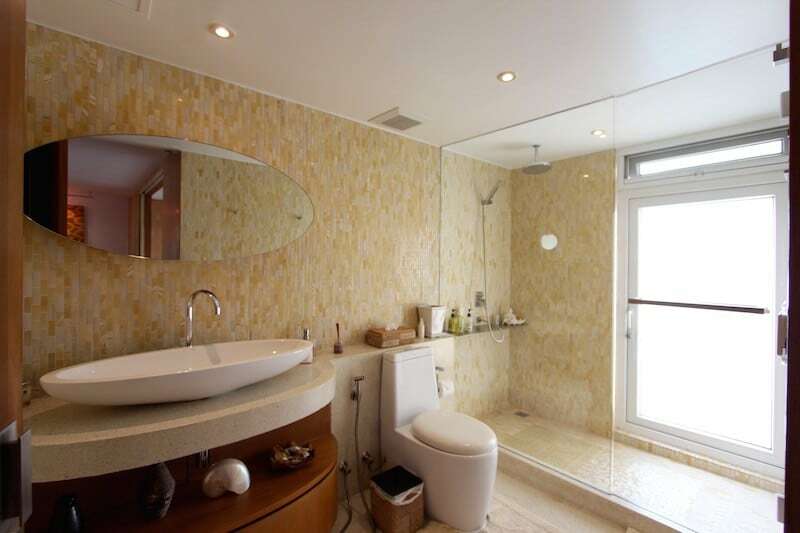 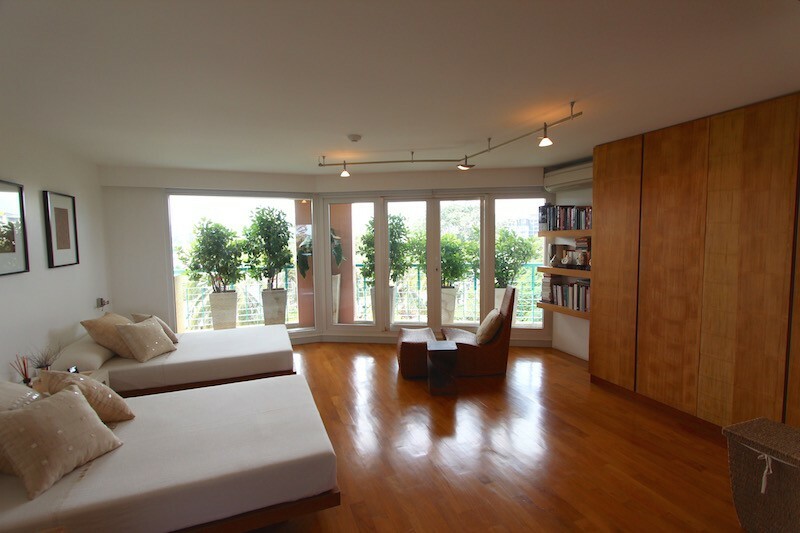 This stunning condo unit incorporates, a modern aesthetic, tastefully integrated with a contemporary Asian flair. 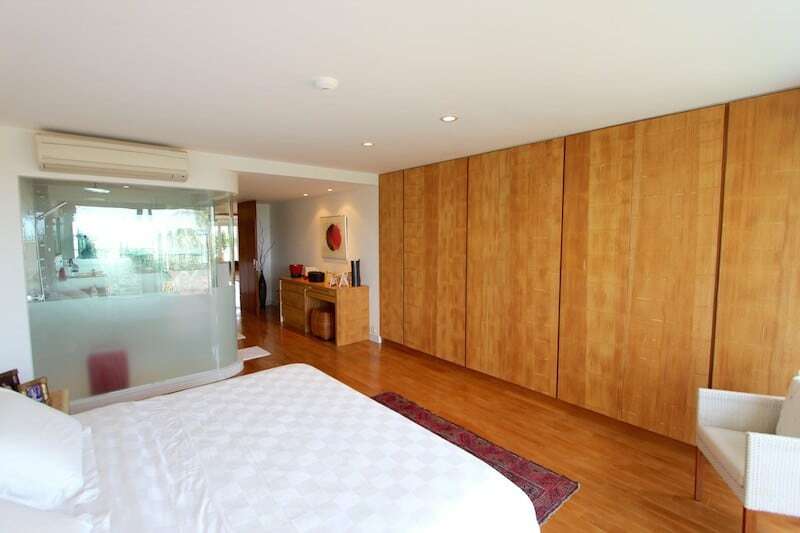 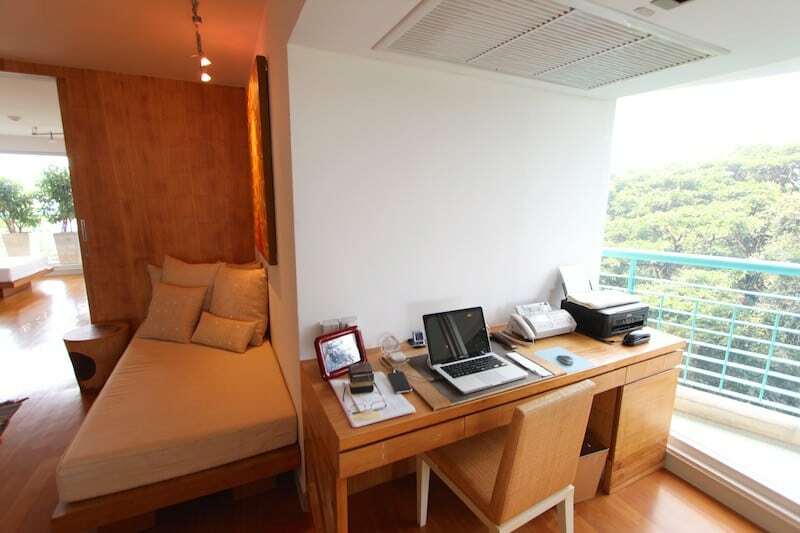 There are high-quality built-in wardrobes and storage cabinets throughout, complete with bamboo finishes. 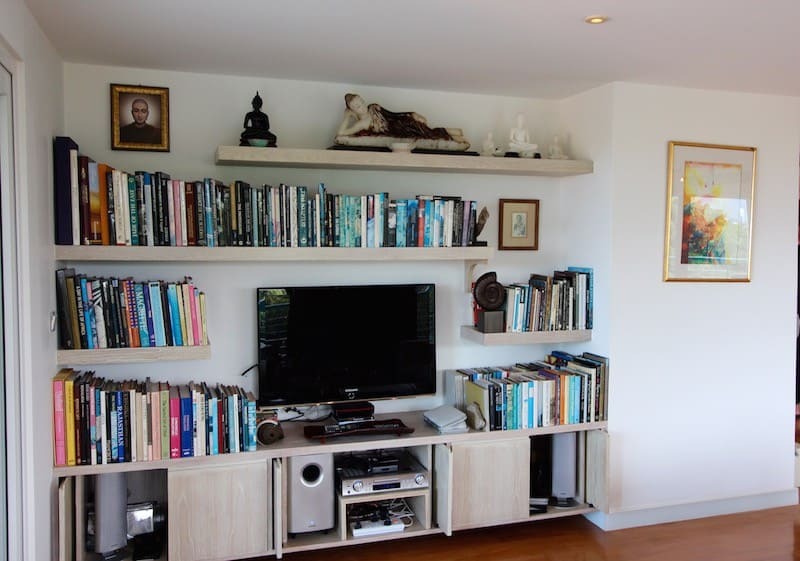 These are not only aesthetically beautiful, but also provide important storage space. 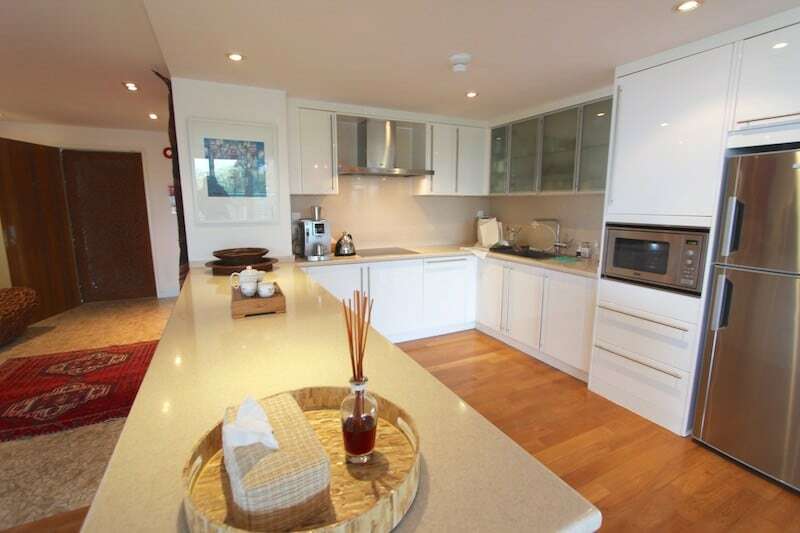 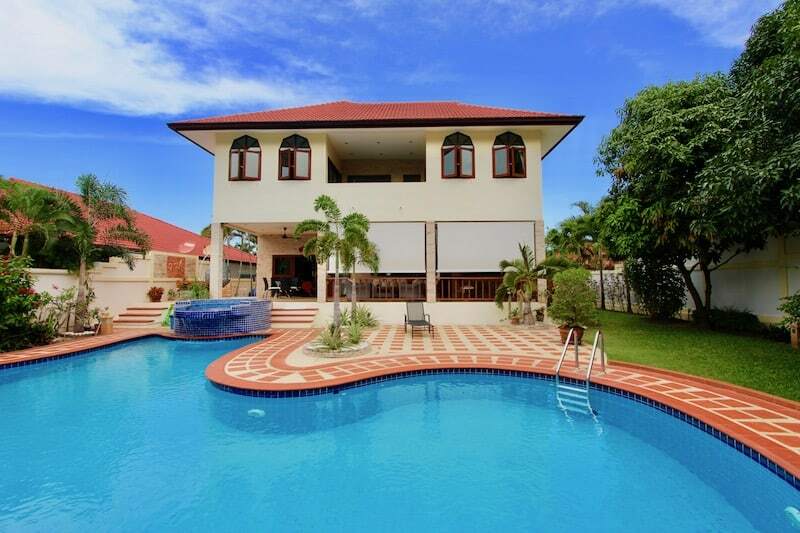 The home features hardwood golden Teak floors throughout, a large, fully equipped & luxurious modern kitchen, beautiful tiling in the bathrooms, and bespoke furniture throughout. 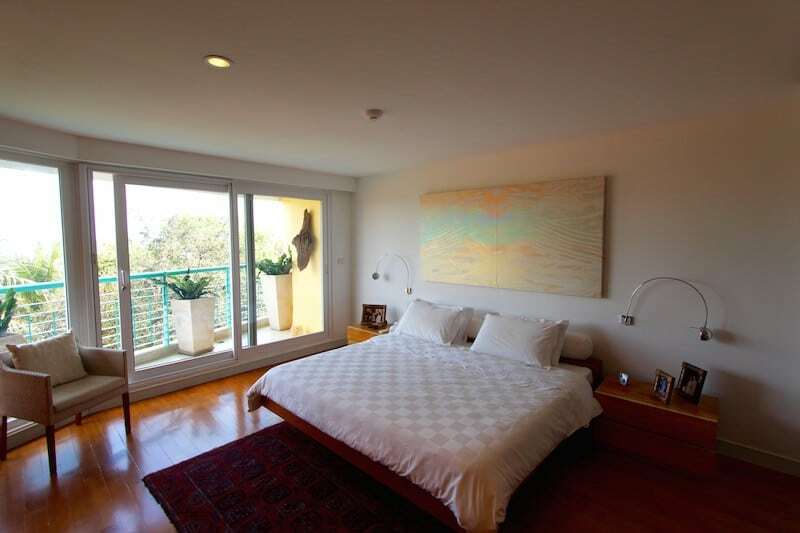 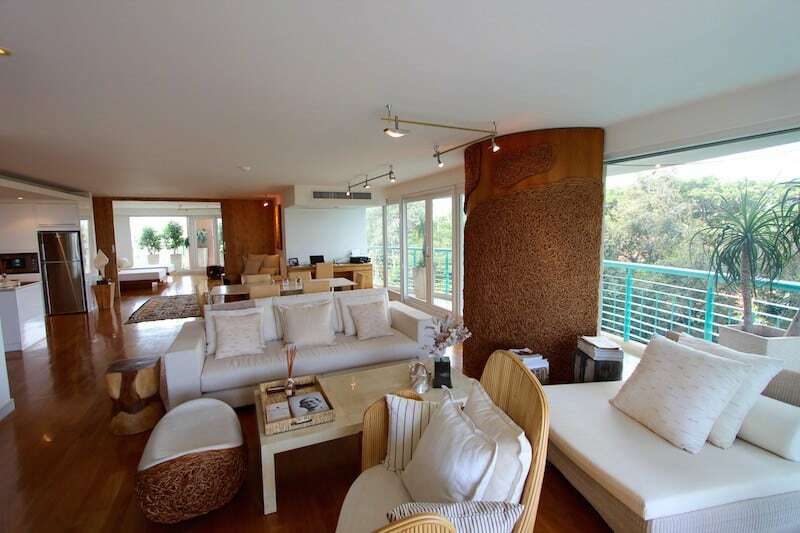 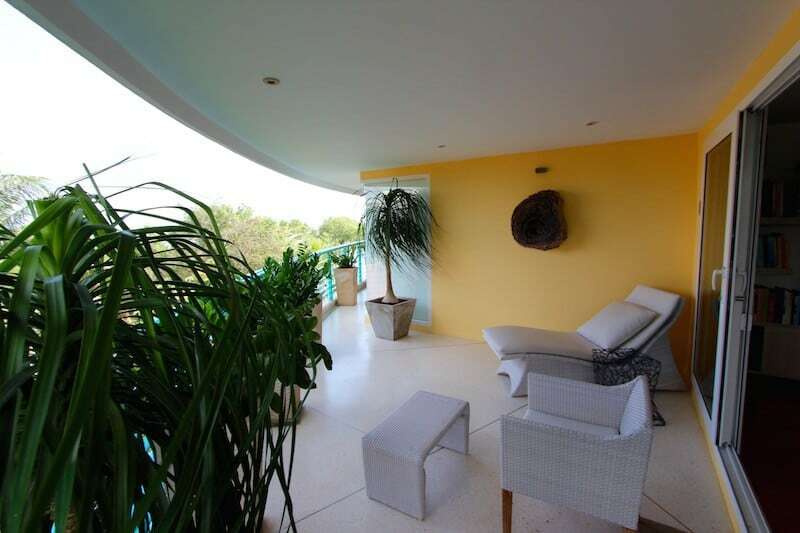 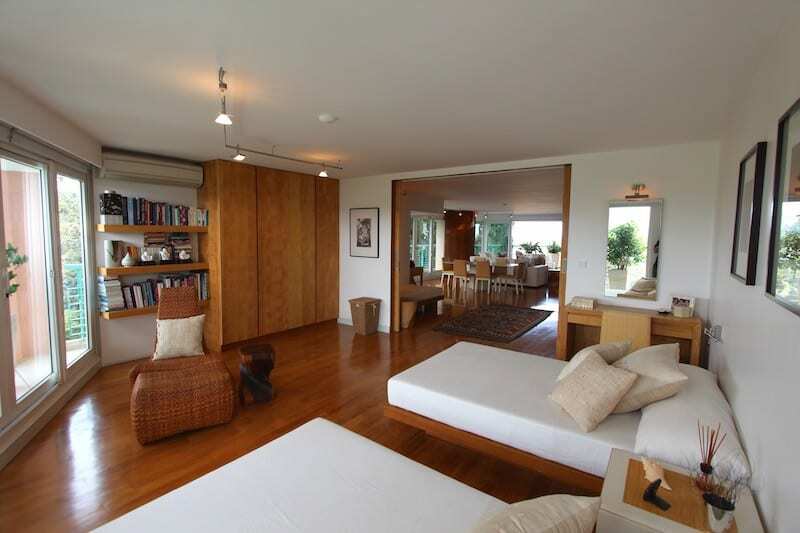 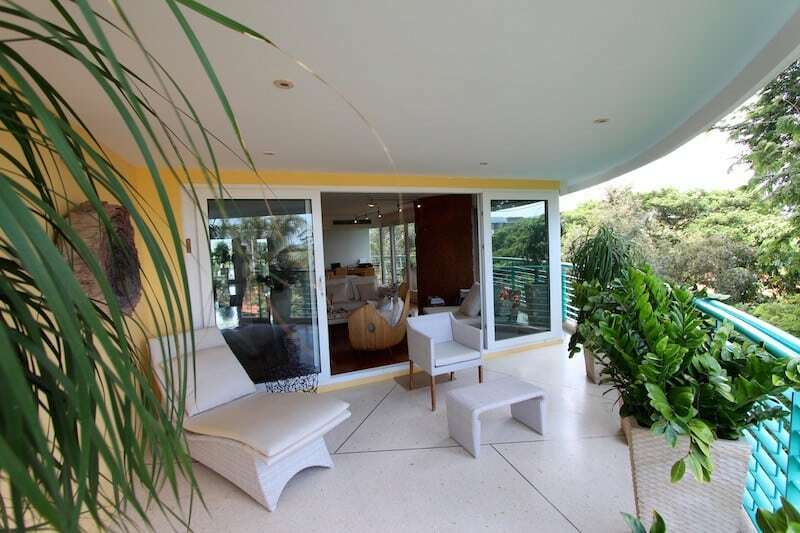 Both the living/family room and the master bedroom have stunning views of the ocean. 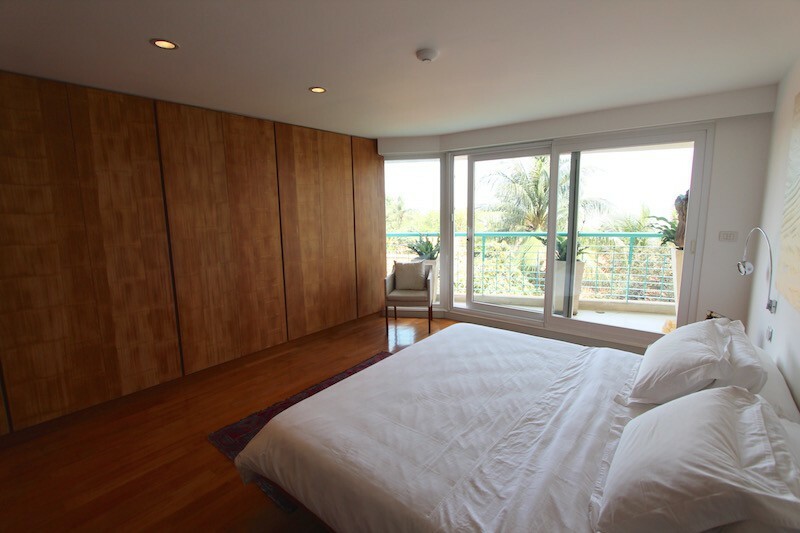 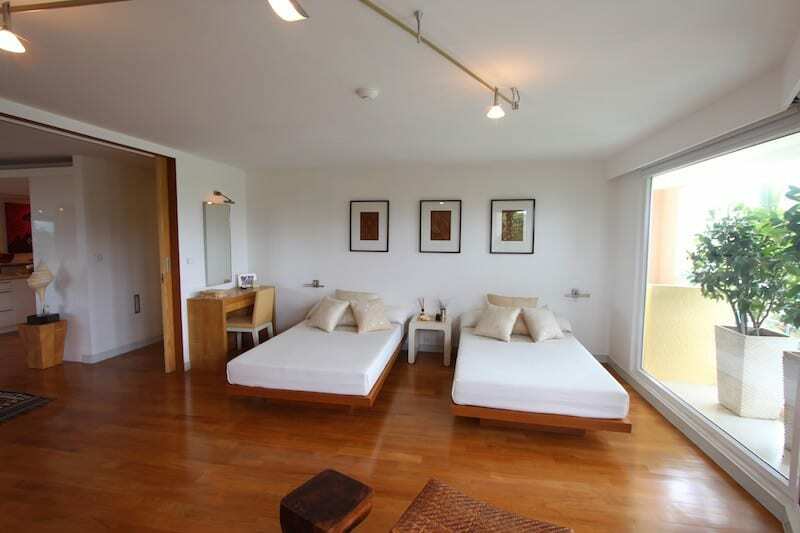 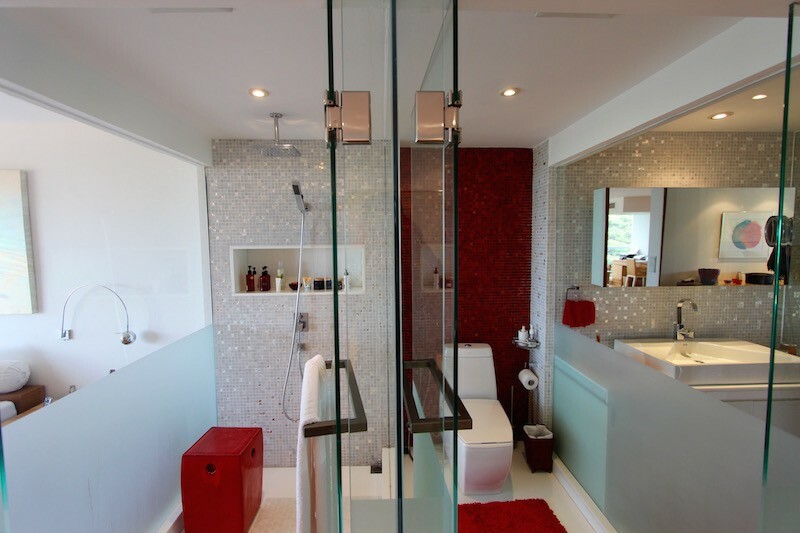 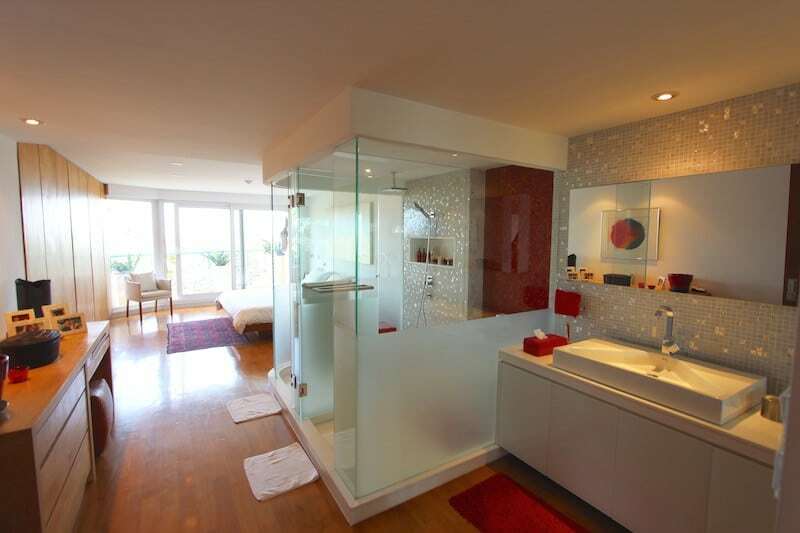 The master suite is designed with a gorgeous modern, en-suite bathroom and bamboo custom-built wardrobes. 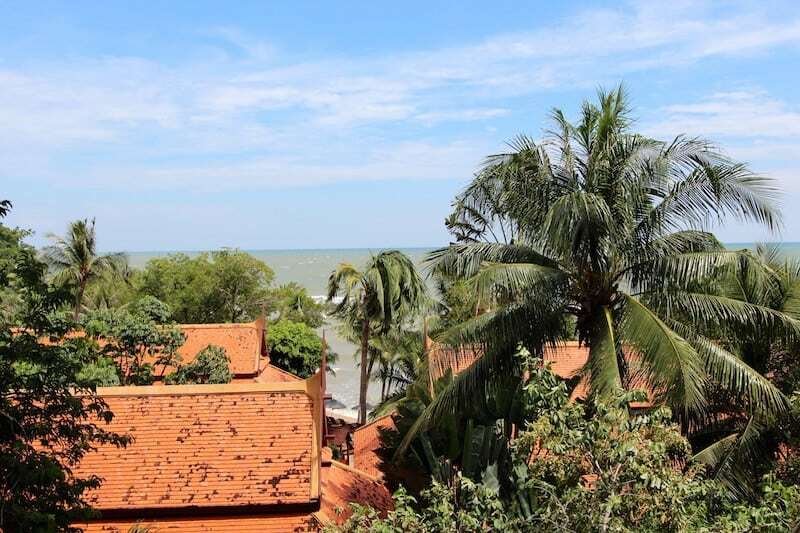 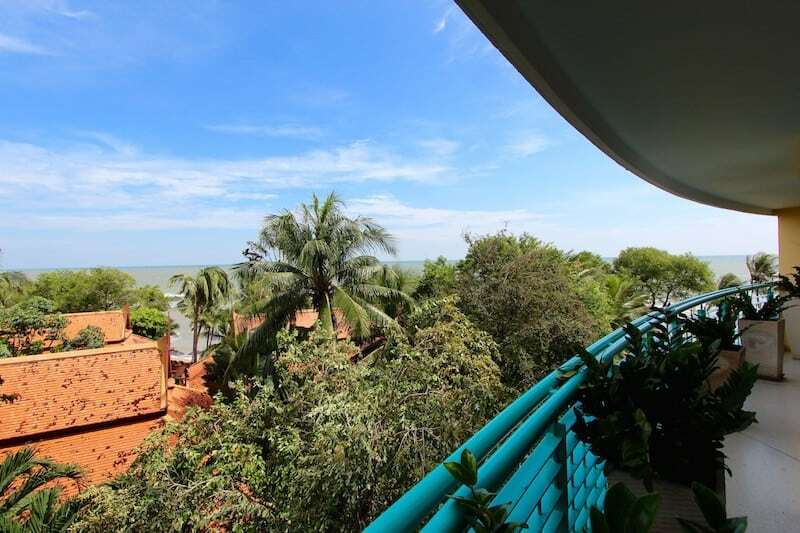 Baan Chutas is an established, well-maintained older condominium development in North Hua Hin, and was constructed before the land prices went crazy in Hua Hin. 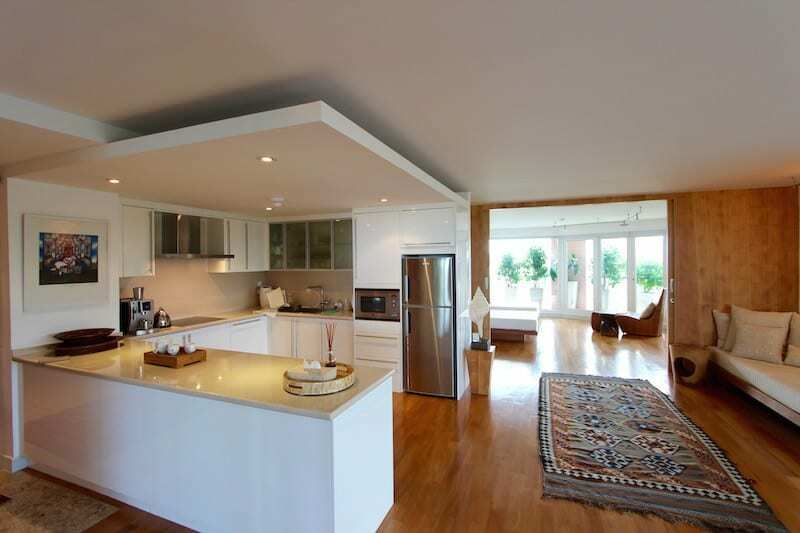 This allowed the original developers to build much larger condo units compared with most offerings seen today. 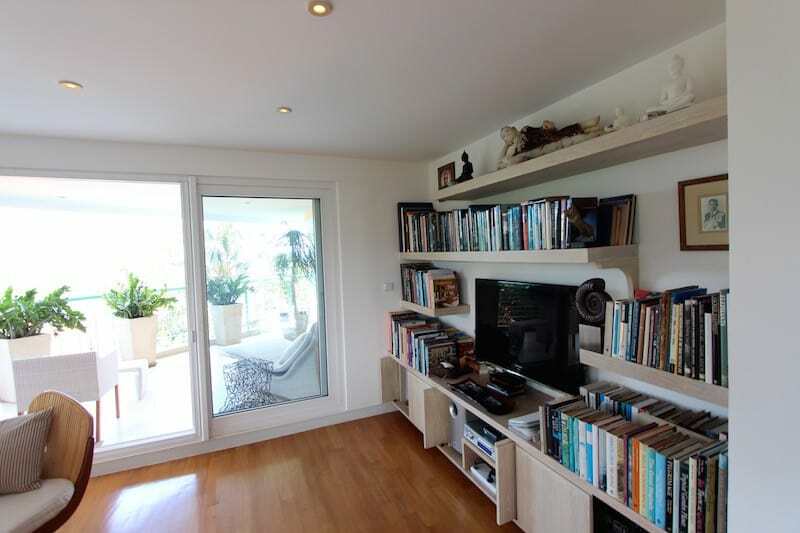 This condo unit is a well-built, very spacious, 192 sqm with wrap around covered terraces and balconies. 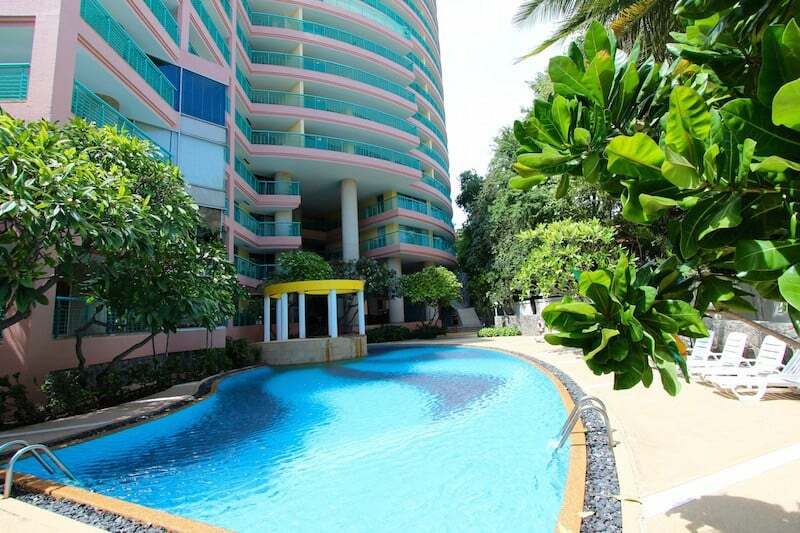 This is a must-see condo!! 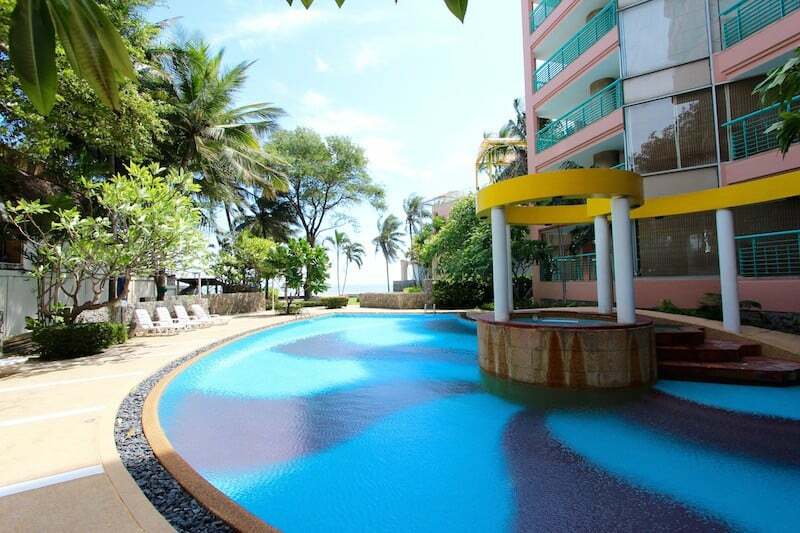 You won’t find another high-quality unit like this anywhere in Hua Hin. 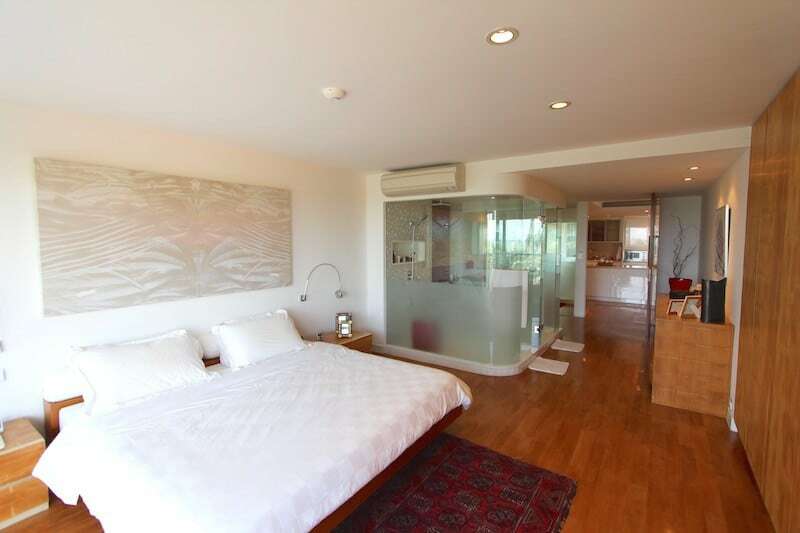 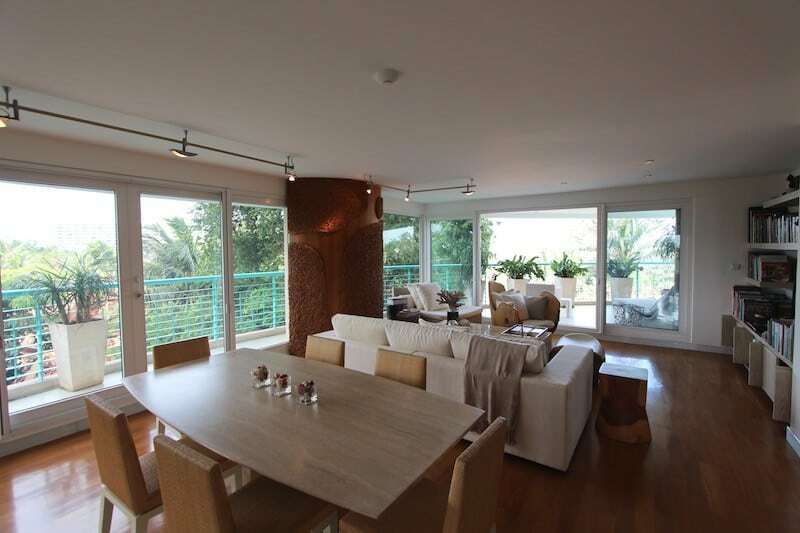 This amazing home is sold fully furnished and has the option to be owned via foreign freehold quota or Thai quota. 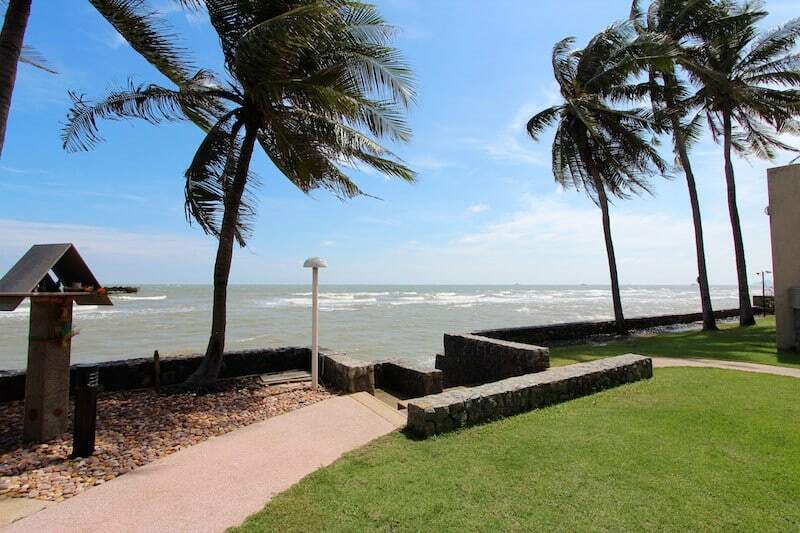 For more information and to schedule a viewing of this Baan Chutas luxury beachfront condo, please contact Executive Homes Hua Hin at +66(0)85.264.2158.